She was a highly sought after piano teacher and taught the children of Larry King, Billy Baldwin, Dan Beckerman (the LA Kings’ governor), Susannah Grant (the Oscar-winning screenwriter), Bennett Schneir (the animated film producer), and many other professionals in Pacific Palisades, CA 90272. She assembled a team of highly qualified and experienced musicians who share her burning desire and enthusiasm for quality music education. Learn more about our founder here. Read more about the many benefits of hiring our Pacific Palisades piano teachers here. I highly recommend Olesya MacNeil as a piano teacher and music mentor for young children. She is very well respected in the community and has taught for many of the families in our local area. Olesya is passionate about music and teaching, and this is shown through her enthusiastic and patient approach with young people, She has developed a program and teaching techniques that are always age and skill level appropriate. She encourages her students throughout the lesson, providing just the right amount of urging to keep trying. Above all, the goal for her is to let the student enjoy and appreciate the art. This, while learning the music and understanding the instrument. Olesya believes in creating a solid foundation for individuals to build new and more complex skills upon. My daughter has taken lessons for about 4 years and our family has hosted numerous piano recitals. These event were always very fun for the students and a pleasure for family and friends alike. Piano is an easy first instrument to learn- a student just needs to press the key to produce a sound. A comprehensive knowledge acquired by students in piano lessons can later be applied to any other instrument. 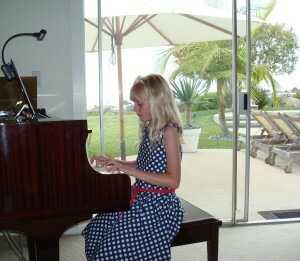 Our Pacific Palisades piano lessons are tailored to each student’s needs and tastes. Students study ear training, notation, rhythm, technique, memorization, sight reading, improvisation and music theory. Music Teacher LA also offers composition and music production per students’ requests. The earliest recommended age to start taking private piano lessons is 4.5 years as a longer attention span and the ability to retain materials is becoming more natural at that age. 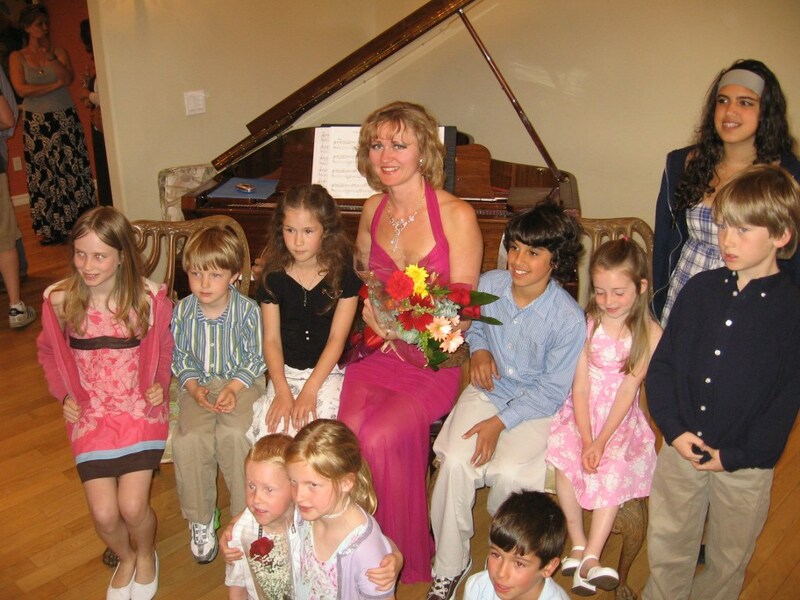 Only in rare cases, we accept pupils younger than age 4 into our piano program after meeting and evaluating them. Practice time can be anywhere from 5 minutes for a very young beginner to any number of hours for an advanced adult. If you do not have a piano at home, a simple full-range electronic keyboard with weighted keys will be sufficient for the first six months. Our piano lessons are offered seven days a week in the comfort of your home in Pacific Palisades or in our Santa Monica music studio. Our Pacific Palisades piano teachers are ready to get you started!